Throughout the day, your muscle is constantly being broken down (catabolism) and rebuilt. However, when you exercise and participate in sports, the rate of catabolism increases. This means you need to consume regular protein shakes to help with the growth and maintenance of muscle mass. 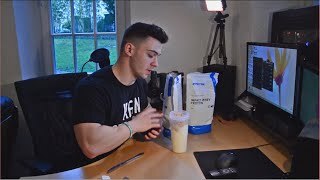 Myprotein Impact Whey protein shake scontains the perfect formula to help meet these needs. In addition, they are also cheaper than other protein shakes, and taste pretty awesome, too! Offering a mighty 21g of protein, 4.5 grams of BCAAs and 3.6g of Glutamine per serving, the premium, grass-fed formula hits all the marks. Furthermore, Impact Whey Protein contains only 1.9g of fat and 1g of carbohydrate per serving. What more could you ask for? So if you’re searching for a quality whey protein shake which delivers great value for money then look no further! 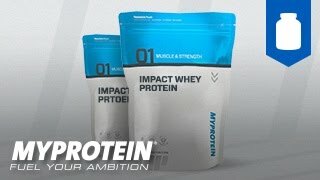 If you want Impact Whey deals, check out current Myprotein discount codes, right here on the product page! Impact Whey Protein is convenient and high quality, ensuring your muscles get enough fuel throughout the day. As protein contributes to the growth and maintenance of muscle mass, Impact Whey shakes are ideal for amateurs and experts alike. And at just 103 calories per shake, and a choice of over 50 flavours – what’s not to like? Impact Whey Protein is suitable for active people looking to meet their daily protein requirements and achieve their fitness goals. If you are unsure how much protein you need, check out Fitness Savvy’s Protein Calculator to find out. 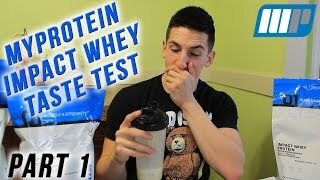 When should I consume Myprotein Impact Whey Shakes? Due to the anabolic window following exercise, we recommend consuming a shake 30-60 minutes post-workout. That said, you can also enjoy it at any time throughout the day. Mix with water or milk, or combine with your favourite smoothie recipes. So if you like what you see, why not check out more products from Myprotein’s awesome range.